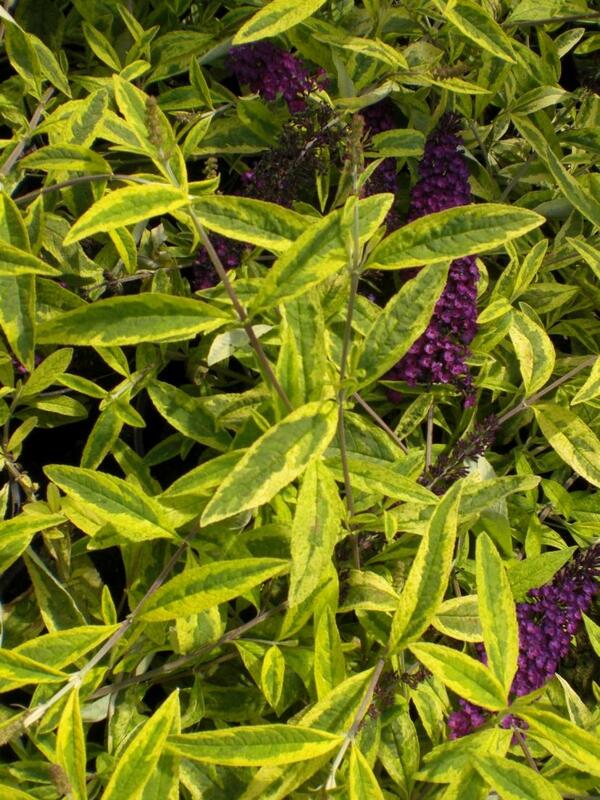 Buddleja Santana is a fast growing bushy deciduous shrub with arching branches of narrow green golden variegated leaves. 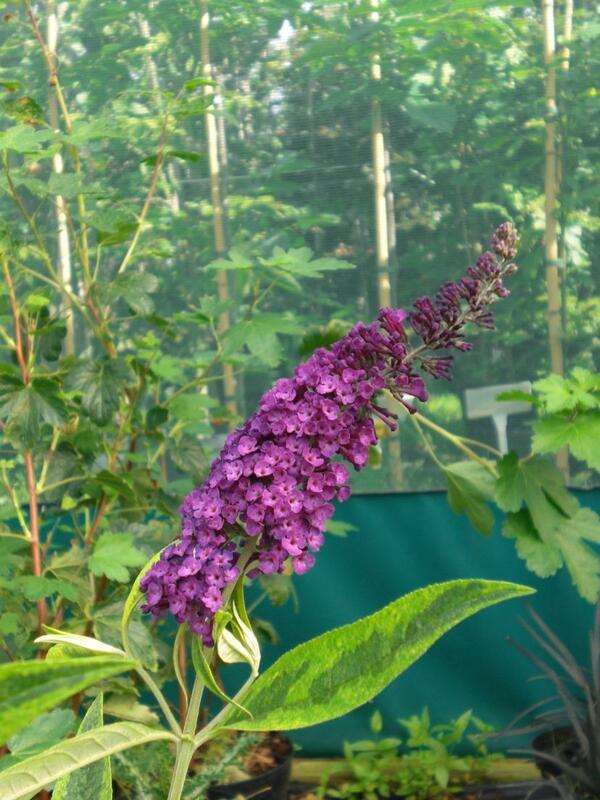 Produces slender panicles of claret red purple flowers from July to September. 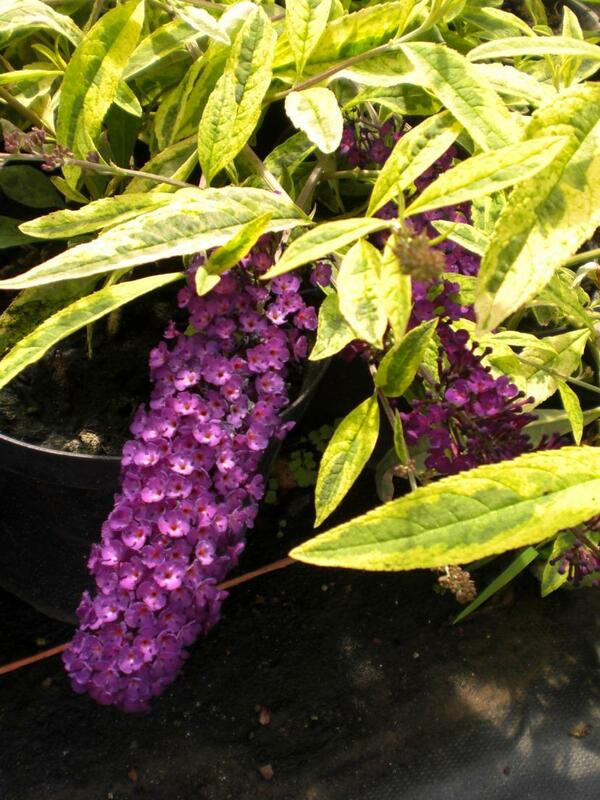 Hardy and best in a sunny position but can be planted in part shade. Tolerant of most soil types.